Whoops! I’ve totally ignored our blog for the last 2 weeks! I spent an amazing long weekend in NYC with high school friends, but other than that, my only excuse is laziness. Surely you didn’t think we’d stopped eating, right?! Sometimes you influence what we eat… I was browsing the blog for dinner ideas the other night and saw that an anonymous person commented on the Neapolitan Pizza post, and I thought, AH HA, pizza it is! Since the dough recipe is the same, I’ll just give you the rundown of ingredients instead of doing a recipe page (see, pure laziness). 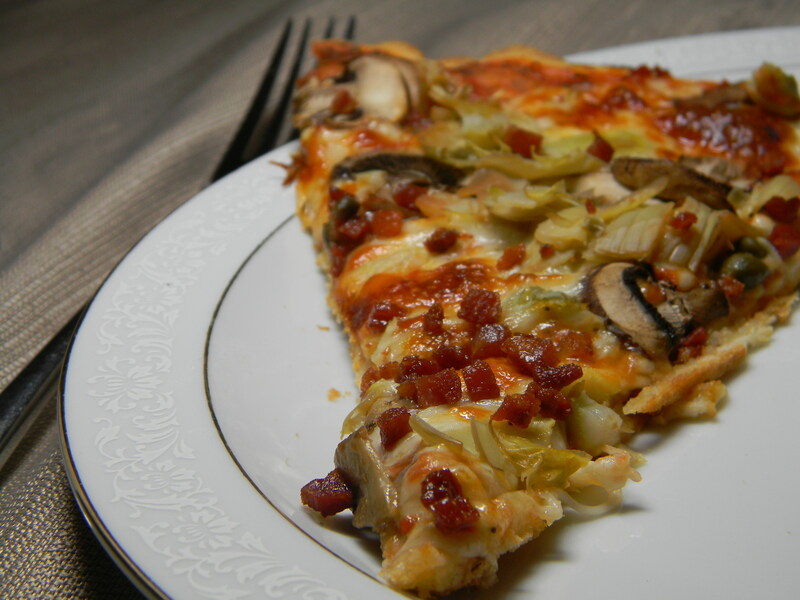 This time, we used mozzarella cheese, mushrooms, artichoke hearts, pancetta, and chopped basil. Delicious! In other exciting news, we recently made an amazing discovery at the Dekalb Farmer’s Market (I know, I sound like a broken record. But… I. don’t. care. That place is amazing.). We brought back Chombe tea from Malawi, but it just hasn’t ever tasted as good at home… and it was because of the sugar. 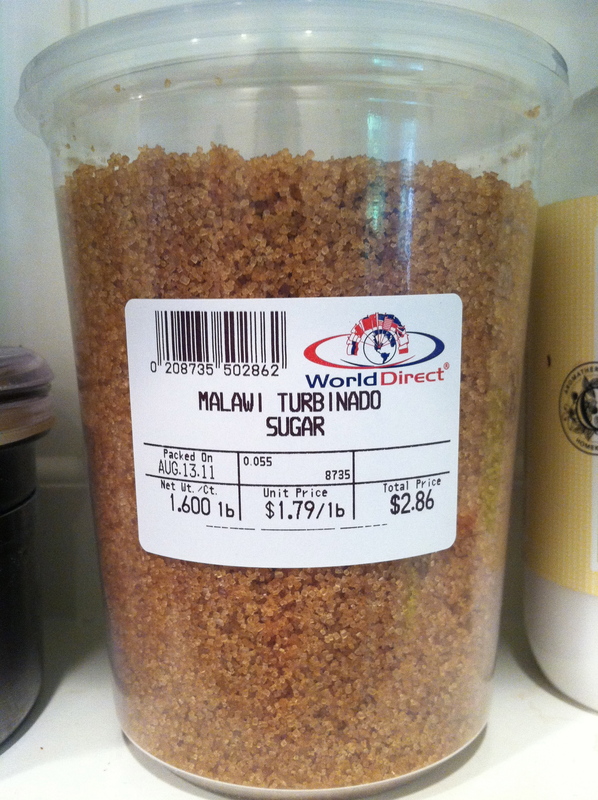 In Malawi, they use local turbinado sugar…and it’s just better. Well, lookie here! Seeing this absolutely made my month. Now, I’m enjoying 2+ cups of tea a day, each with 2 heaping spoonfuls of this magical sweetness. I think my dentist hears the cash-register CHA-Ching everytime I take a sip.. oh well, it’s totally worth it. (Miss you so much, Sandy and Kate!) Happy almost weekend everyone! Good Ol’ Dekalb Farmer’s Market . What a great place. I certainly understand talking about it a lot. I have only been there once, and still talk about it :).